In fact, the majority of health care construction underway will add hospital beds, not medical office space, to the market. Roughly, 2.3 million sf in new hospitals are poised to deliver in 2017, according to the report. Those projects include Houston Methodist's $697 million, 1 million-sf expansion in the Texas Medical Center that will contain 378 beds and will stand at 22 stories. 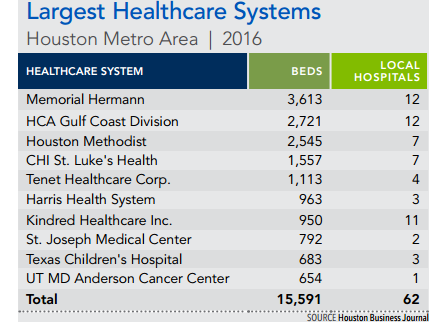 See​ Houston Healthcare Market Outlook 4Q 2016 (PDF)​. Also check out​ Houston Medical Market Research.